Reilly Properties has some great rental homes coming soon in Cleveland. We offer a great alternative to hotel living. 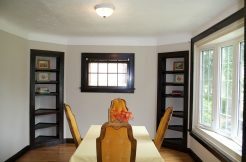 Whether you're relocating to Cleveland and need a short term place while you find permanent housing, or you're visiting Cleveland for a medical procedure at one of Cleveland's premier hospitals and prefer to recover in a home, we can place you in a rental home that is located in a safe, family-friendly, and quiet neighborhood. Many of our rental homes are close to major Cleveland destinations, like the Cleveland Clinic, University Hospitals, Case Western Reserve, Tower City, and more. Because we specialize in short-term, long-term, and flexible leases, we always have rental homes coming available for lease. 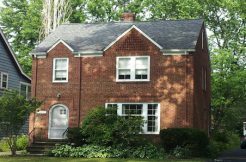 With rental homes in Cleveland, Cleveland Heights, Shaker Heights, and University Heights—we are sure to have rental homes coming soon in Cleveland that will suit your needs. All of our rental homes are pet friendly, and they all come with necessary appliances. 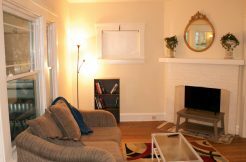 Our rental properties are furnished or can be furnished, so you don’t need to worry about buying lots of furniture or sitting in an empty house. We’ve thought of everything! I managed my rental property for eight years by myself and it was nothing but headaches. Within only a month of hiring Reilly Properties, the headaches started to go away. They were able to secure me a qualified tenant that paid full deposit and six months rent upfront. They also helped renegotiate a lease with an existing tenant, leading to an increase in monthly rent. On the maintenance side, they have been very responsive and are great at communicating ahead of time before proceeding with any repairs.